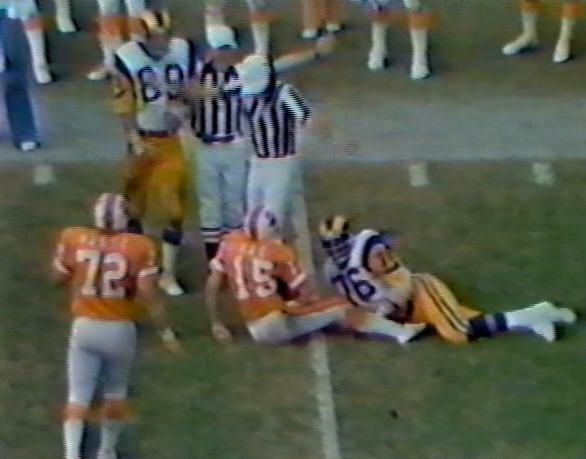 With the exception of Chidi Ahanotu's long and distinguished career on the defensive line and a brief appearance by Greg Johnson and Jovan Haye, this has been a number owned by the offensive line, and primarily that of the guards. Howard Fest was a memorable member of the early Bucs' teams and came out with one of the most famous quotes in franchise history during that 0-14 campaign. 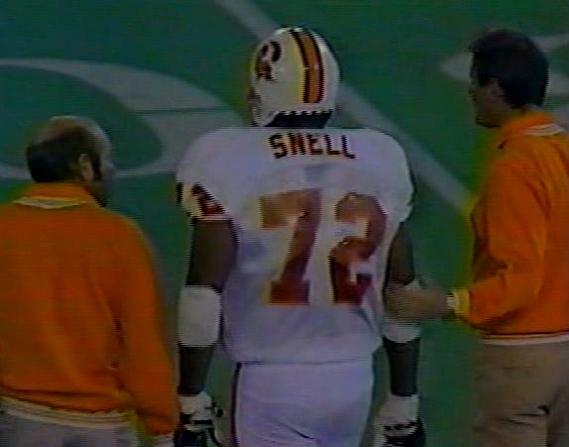 Gary Puetz and Ray Snell were undistinguished offensive linemen, although Snell's lack of performance was more disappointing as he had been a 1st round pick in 1980. 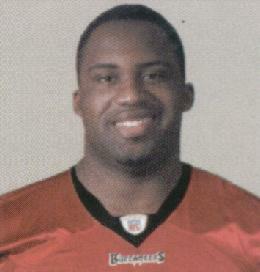 Greg Johnson only played five games in Tampa Bay but scored a notable touchdown during the franchise's first-ever win in New Orleans when he intercepted a deflected pass in the endzone during the 33-14 victory over the Saints. 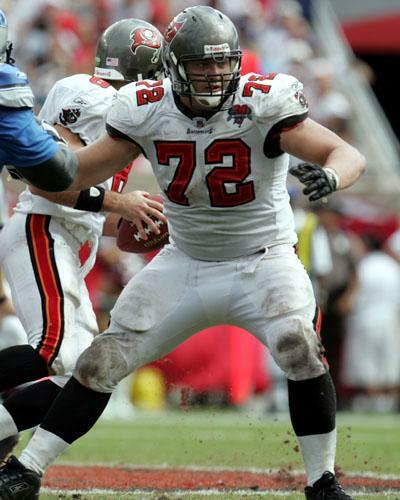 Steve Courson sadly hit the headlines more after leaving Tampa, first for his admitted steroid use, and then the tragic circumstances surrounding his death in 2005. 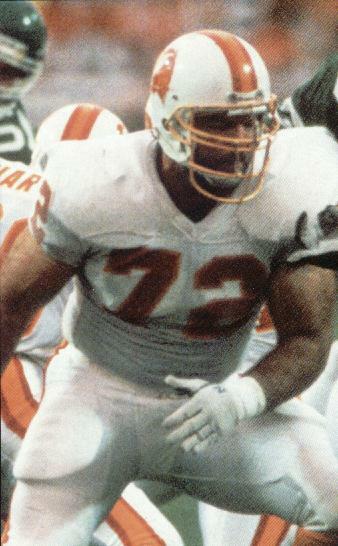 Rob Taylor was a former USFL starter who was driving through Tampa in 1986 and stopped at One Buc to ask for a try-out. 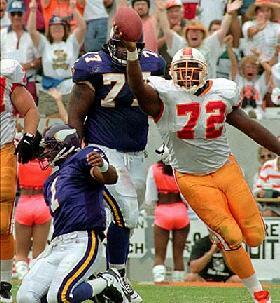 Nearly 100 starts later, he and the Buccaneers were both pretty glad that he did. But since Chidi's seven years at left defensive end in this number (he wore 90 as a rookie and 95 on his return in 2004), the number has passed on to Roman Oben for a pair of seasons and Matt O'Dwyer for a handful of games, before Dan Buenning picked it up in 2005 and had one nice season as a rookie before becoming back-up material.